"It's the only suspension bridge ... 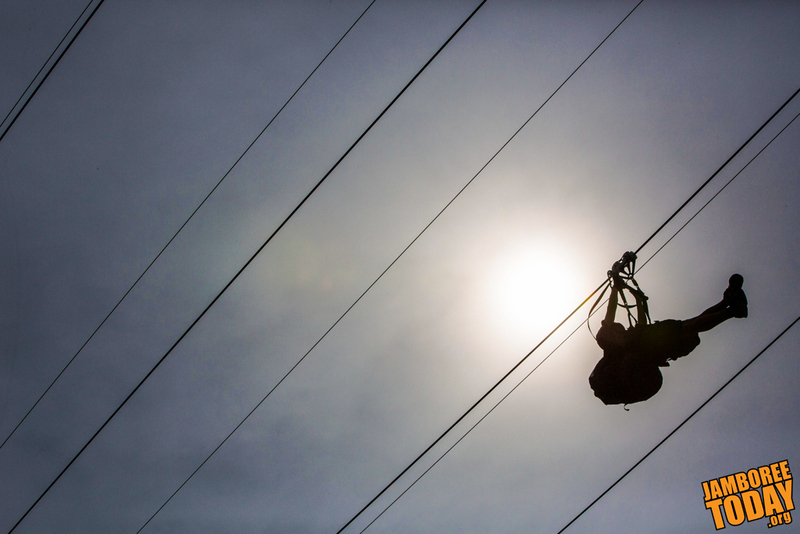 I'm aware of that you can walk alongside the (walkway) cables, which is great," says Bryan Heller, facilities director of the Summit Bechtel Reserve, in a video about the CONSOL Energy Bridge. 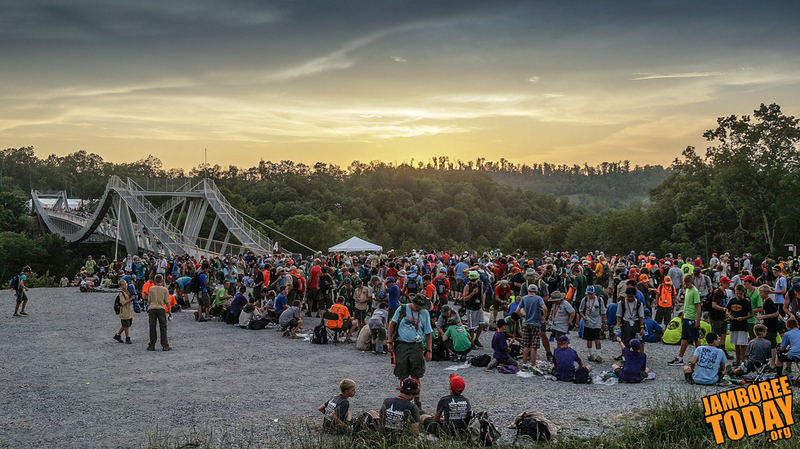 One hundred feet above the valley floor, the CONSOL Energy Bridge spans the 700 ft. distance between Action Point and Base Camps A and B. It is named after the CONSOL Energy power company, which donated $15 million to make the project possible according to press materials from the Boy Scouts of America. Miss the stadium show? See it here in fast motion. 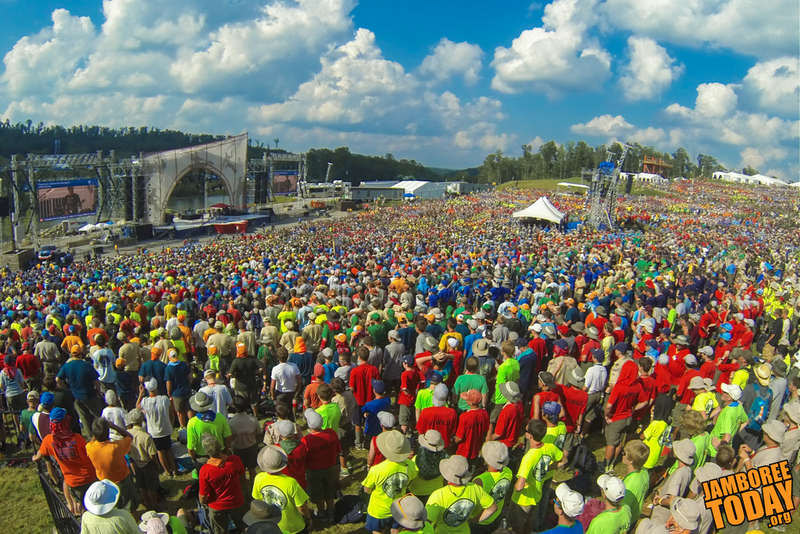 From the first Scouts and Venturers in their seats through the musical performances and finally the Order of the Arrow service corps policing the area when empty. More videos at youtube.com/jamboreetoday. Living in a treehouse is an adventure every kid dreams of. But it takes more than trees, a house and an idyllic vision of outdoor living to enjoy life and protect the Earth. What completes the picture is something called sustainability, which has many meanings but here at the Summit Bechtel Reserve relates to a lifestyle involving the use of resources so they are not depleted or permanently damaged. That's where the Sustainability Treehouse in the Summit Center comes in. 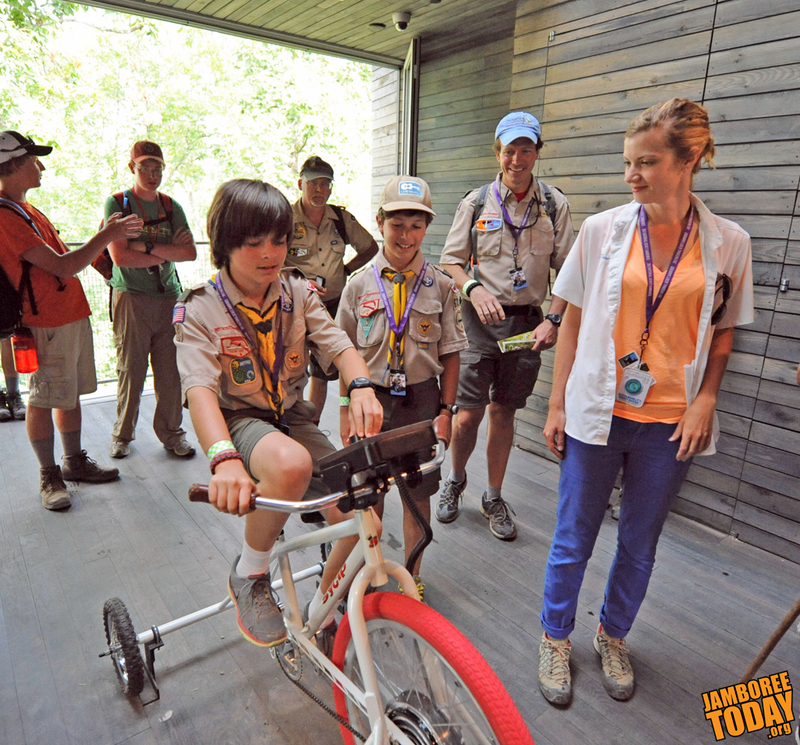 According to the BSA, the tree house is the centerpiece of Scouting’s commitment to sustainability. Jamboree Today's Eric Vickery and Tim Underhill show off the Legacy Zip experience. View all of our videos at youtube.com/jamboreetoday. Long, Uphill Hike to The Barrels: "It Was Worth It"